When we first moved to Charlottesville I stopped eating poultry for both animal welfare and environmental reasons. I stayed this way for about a year and a half, and have only recently incorporated it back into my diet because my husband enjoys it. I have it once every few months and only eat local poultry that is humanely raised. Buying a whole chicken allows us to take full advantage of the bird. 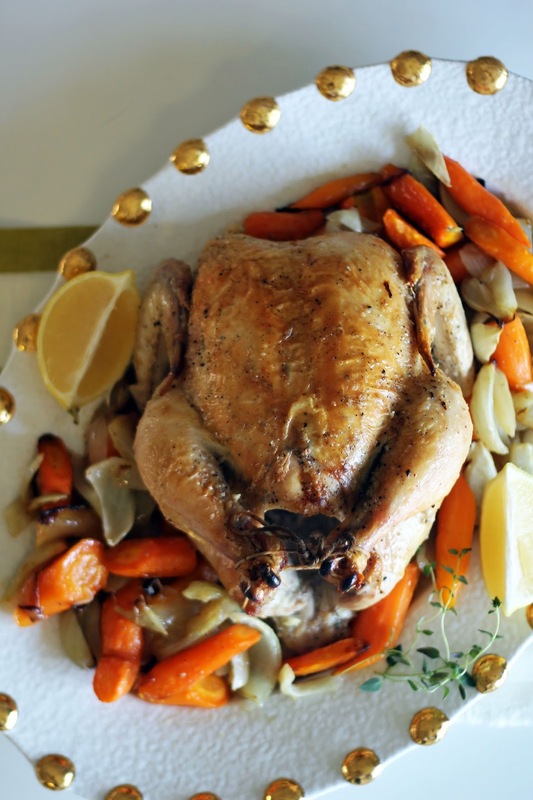 I love roasting it because we can make a few meals out of one chicken. We'll have half the chicken for dinner, use the leftovers for sandwiches, and then carcass becomes a hearty broth. 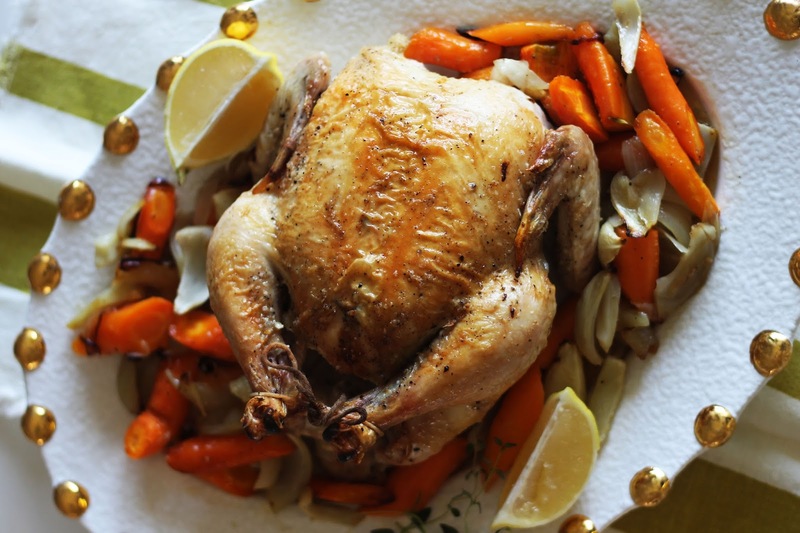 See below for my favorite roasted chicken recipe that comes out delicious every time. Remove chicken giblets and rinse and dry the chicken. Place the chicken in a roasting pan and season with salt and pepper. Stuff the cavity of the chicken with the lemons, garlic, thyme, and rosemary. 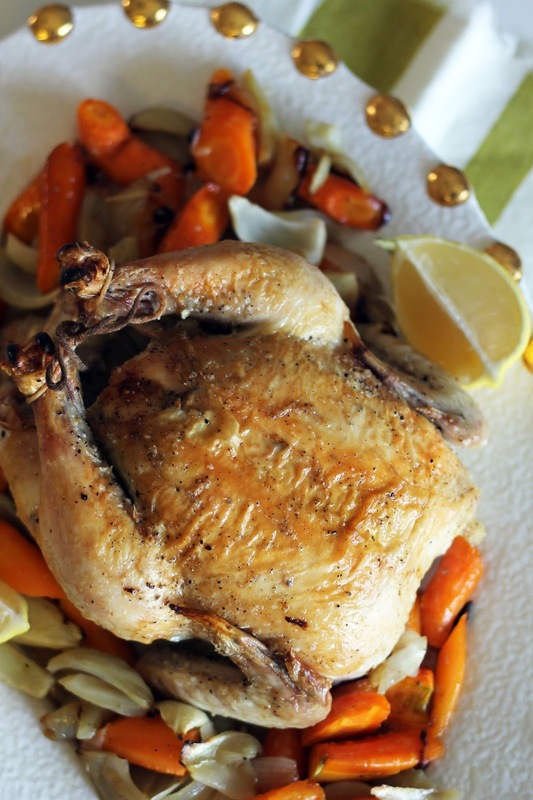 Place the onion, fennel, and carrots around the chicken. 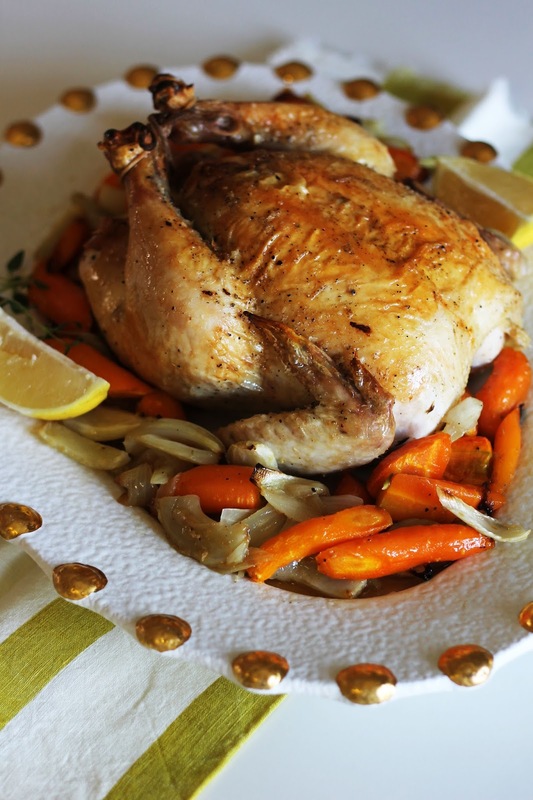 Toss vegetables with 1 tablespoon of olive oil and coat the chicken with the remaining tablespoon of olive oil. Using kitchen string, tie the legs together and tuck the wings under the bird. 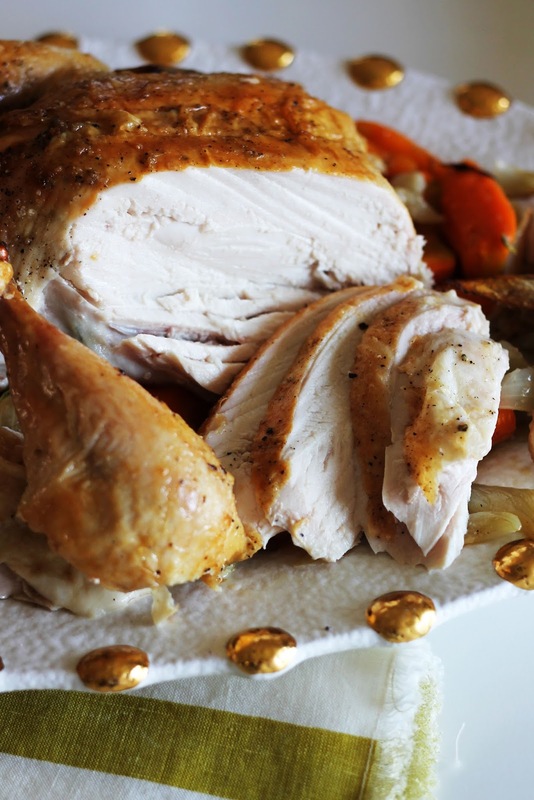 Place chicken in the oven and roast for 45 minutes until the chicken is golden brown and has reached an internal temperature of 165 degrees. Serve warm with vegetables and any pan drippings.